Jide’s Remix OS impressed everyone of us by taking the Android mobile operating system and turning it on its head with a classic desktop-style interface. 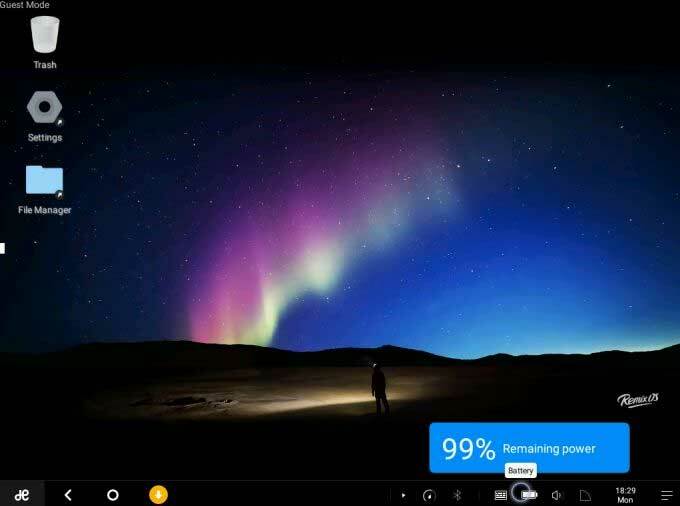 Everything users expect from a full-featured desktop operating system is present in Remix OS. There’s a start button in the lower left corner to access a full list of applications, a taskbar in the bottom right, and even minimized windows at the bottom. And underneath the clean, simple interface, it’s still running fully supported Android. That means access to the Google Play store, but with apps that can be resized, moved around, and flipped from one to another in the same way you might in Windows or Mac OS X. 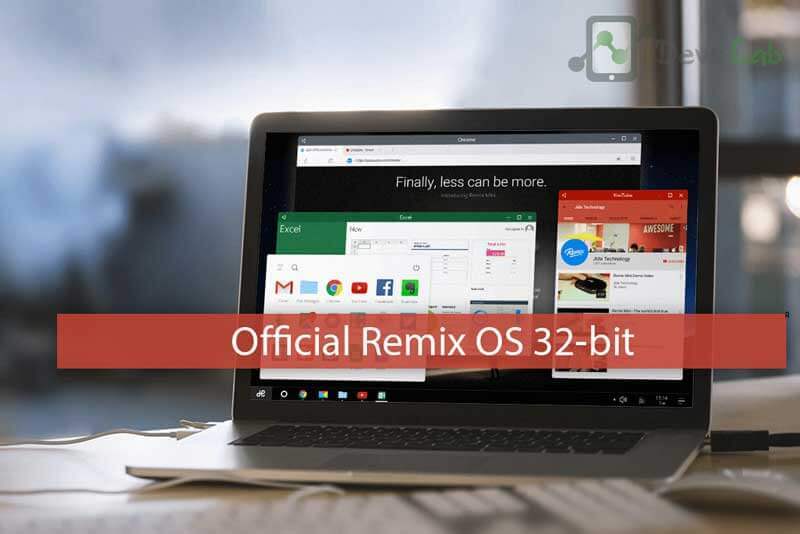 Now, the OS developer is at it again with a version of Remix OS for 32-bit and 64-bit computers. Some Android apps and games clearly weren’t designed for keyboard and mouse input, and can be difficult to use on devices that don’t have touchscreen displays. But for the most part, Remix OS does a better job than most versions of Android at making mobile apps feel like they were supposed to run on notebook and desktop computers. You can also download Remix OS Player from below. Note that you’ll need a 4GB of larger USB flash drive, and Jide really recommends using a USB 3.0 drive with fast read/write speeds for best performance on 64-bit computers. Odds are that if you’re using a 32-bit system, you may only have USB 2.0 ports. They’ll work, but don’t expect Remix OS to be blazing fast. Step 1. Download the Remix OS file using any Torrent client. Once you have downloaded the file, unzip the file using any Free tool like 7zip. Step 3. Once the tool has prepared Remix OS 32-bit Boot drive, Turn off your PC & Goto Bios menu & change Boot priority. Bring the USB drive at first boot device. Now restart your Computer. Step 4. It will boot your computer through Remix OS. You can opt to run Remix OS in “guest” or “resident” modes. Guest mode boots more quickly the first time you run it, but it won’t save any data. So if you reboot you’ll lose any apps or data. Resident mode takes a little longer to set up the first time, but it saves your data between sessions and boots pretty quickly after it’s been run the first time. Step 5. In either case, Remix OS runs from a flash drive, which means you don’t have to write any data to your computer: the operating system won’t affect Windows, OS X, Linux, or whatever else is already on the computer. There are methods for installing Remix OS to built-in storage which may improve performance and offer more storage space. But since this is pre-release software, I’m not sure I’d recommend doing that. Step 1. Create a partition of at least 8GB and format it to FAT32, Whether you want to shrink your existing one (your Windows one) and use the leftover unallocated space or do something else, that’s all you. I used EaseUS Partition Master to shrink Windows’ main partition on my SSD. Step 2. Take Remix OS’ ISO file and copy it over to the new partition. You can find the partition in Windows Explorer. Step 3. Extract the contents of the ISO file (using a program like 7zip) without modifying the ISO. You should now have the ISO + a copy of all the stuff that was inside it in your partition. Step 4. Download EasyBCD and open it. Go to Add New Entry and then the ISO tab. Use Path to link to the ISO file. Name it Remix OS if you want. Now click Add Entry. Step 5. Make the Menu Options (under Edit Boot Menu) how you like them and then go to Click Tools -> Restart Computer -> Yes. Step 6. It’ll reboot and you should have the choice to pick Remix OS. Do so and you’ll wait a good while. Eventually it should start up into the setup screen (Language, Wifi, etc.). It’ll probably restart a couple times at that point, but not later on. Once launched, Remix OS will treat you as any other Android device would, allowing you to download previously purchased apps, connect to email and Google Drive, and manage the internal file structure. If you have an old system lying around and are looking for a way to drag it into 2016, this might just be the ticket.